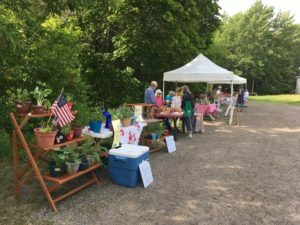 Weekly outdoor market late June through October every Wednesday 3:00 – 6:00 pm at 15 King St, Dennysville in the parking lot of the Edmunds Congregational Church. Offerings include homemade soups, breads & baked goods, sweets packed to go, local artisans, crafts, garden & greenhouse produce. Crown of Maine ordering also available, local farm pre-orders available through Denny’s River Buy Club. Check their Facebook page for ongoing information. From October to June the market is held indoors at the Congregational Parish Hall on Thursdays from 3:00 to 6:00 pm.